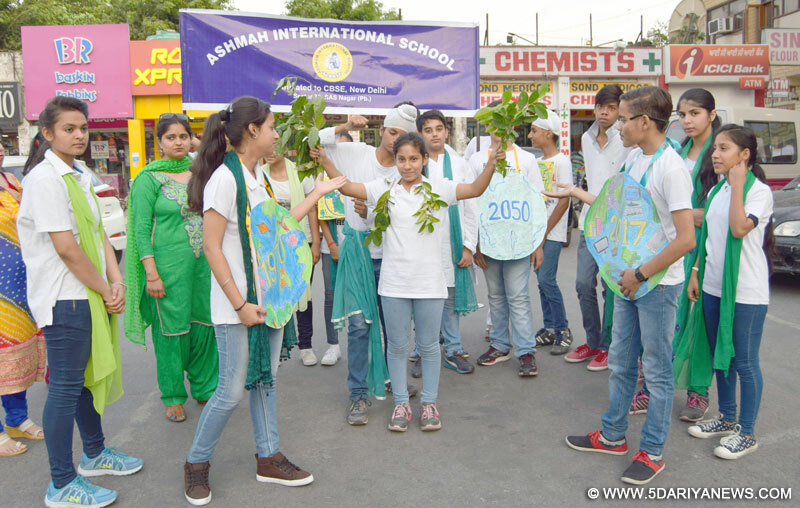 Ashmah International School, Sector 70 celebrated cleanliness and greenery week to serve Mother Earth. Students were appointed to taken care the plants at school premises. Apart from that students were told importance of sprinklers for less wastage and evaporation of the water.Various activities with the theme save Earth were organized for the students throughout the week like, making earth masks, making posters. Slogan writing competition and poster making competition with the theme to stop pollution. Special movie and puppet show based on the theme of saving Earth was shown to the students.Students of the school also spread awareness among the people by explaining them different Ways of Saving Mother Earth while parading in a rally .Children also hold different kind placards boring different slogans of saving mother earth to inspire people.Apart from that students also went in the flats and houses to cognizant people to keep their surroundings neat and clean.These students along with their teachers, also explained stagnant water and filthiness is cause of different ailments Principal Amarpreet Kaur motivated students to adopt healthy habits to eliminate pollution like turning off computer and incandescent bulbs when not in use, brush without running tap, recycle old cell phones, and plant a tree every year for each member and Avoid plastic bags.